Zaius is a B2C CRM has raised $30 million in Series B funding and delivers real-time, cross-channel marketing automation and attribution. But it is also built on a single customer view, for customers including online retailers Polyvore and Moda Operandi. Personalization is where the platform shines because Zaius unifies customers’ behaviors and attributes across channels and devices, there is no better data on which to build your content personalization. 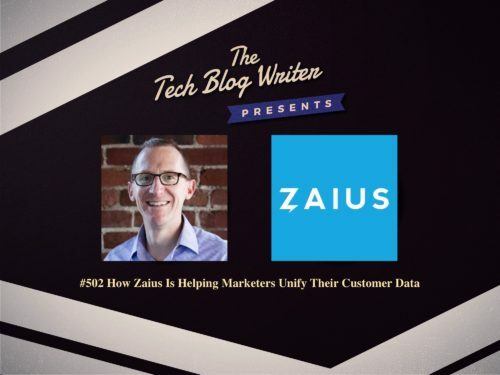 From personalized product placement and recommendations to behaviorally-triggered campaigns, Zaius empowers marketers to truly personalize the customer experience. Zaius’ B2C CRM is the only marketing application that solves the entire marketer’s workflow in a single platform – from opportunity discovery to lifecycle management to content and campaign creation. The company empowers B2C marketers with complete control of customer data and the tools and insights to help better understand why and how their customers shop, leading to increased repeat purchases and higher customer lifetime value. Based in Boston, Zaius is venture-backed by Insight Venture Partners, Matrix Partners, Underscore VC and Leaders Fund. Mark Gally has over 20 years experience (15 years working in Silicon Valley) leading software companies. Demonstrated experience founding and managing marketing, sales and service organizations for high-growth companies in business applications, analytics and IT infrastructure. He also has vast experience scaling organizations from under $2MM in annual sales to over $50MM and managing exponential annual growth.